Reykjavik is the capital city of Iceland. It is also the largest city in that country and with its latitude of 64˚08'N, it is the world's northernmost capital city for an independent nation. Reykjavik has a population of 120,165 people (2008 estimate) and its metropolitan area or the Greater Reykjavik area has a population of 201,847 people. It is the only metropolitan area in Iceland. Reykjavik is known as being Iceland's commercial, governmental and cultural center. It is also known as being the world's "Greenest City" for its use of hydro and geothermal power. 1) Reykjavik is believed to have been the first permanent settlement in Iceland. It was established in 870 C.E. by Ingólfr Arnarson. The original name of the settlement was Reykjarvik which loosely translated to the "Bay of Smokes" due to the region's hot springs. The additional "r" in the city's name was gone by 1300. 2) In the 19th century Icelanders began to push for independence from Denmark and because Reykjavik was the region's only city, it became the center of these ideas. In 1874 Iceland was given its first constitution, which gave it some legislative power. In 1904, executive power was given to Iceland and Reykjavik became the location of the minister for Iceland. 3) During the 1920s and 1930s, Reykjavik became the center of Iceland's fishing industry, especially that of salt-cod. During World War II, the allies occupied the city, despite the German occupation of Denmark in April 1940. Throughout the war, both American and British soldiers built bases in Reykjavik. In 1944 the Republic of Iceland was founded and Reykjavik was named as its capital. 4) Following WWII and Iceland's independence, Reykjavik began to grow considerably. 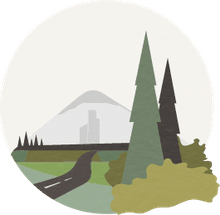 People began to move to the city from Iceland's rural areas as jobs increased in the city and agriculture became less important to the country. Today, finance and information technology are important sectors of Reykjavik's employment. 5) Reykjavik is the economic center of Iceland and Borgartún is the financial center of the city. There are over 20 major companies in the city and there are three international firms with headquarters there. As a result of its economic growth, Reykjavik's construction sector is also growing. 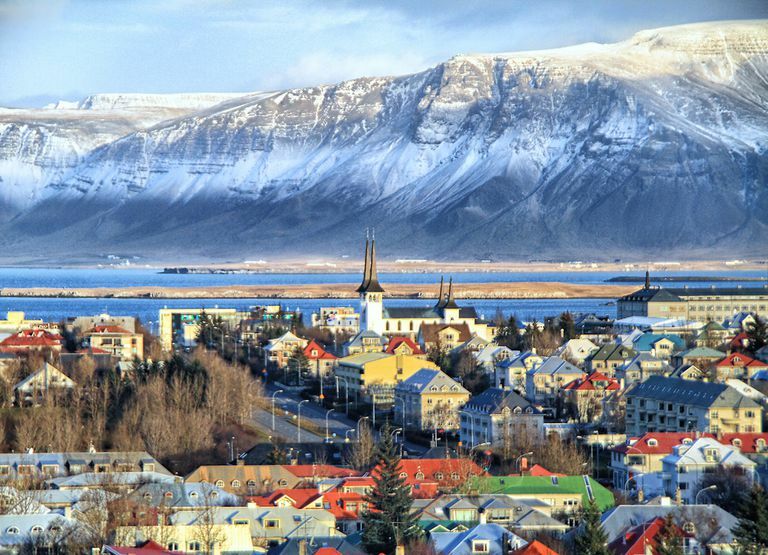 6) Reykjavik is considered a multicultural city and in 2009, foreign-born peoples made up 8% of the city's population. The most common groups of ethnic minorities are Poles, Filipinos, and Danes. 7) The city of Reykjavik is located in southwest Iceland at only two degrees south of the Arctic Circle. As a result, the city gets only four hours of sunlight on its shortest day in the winter and during the summer it receives almost 24 hours of daylight. 8) Reykjavik is located on Iceland's coast so the city's topography consists of peninsulas and coves. It also has some islands that were once connected to the mainland during the last ice age about 10,000 years ago. The city is spread out over a large distance with an area of 106 square miles (274 sq km) and as a result, it has a low population density. 9) Reykjavik, like most of Iceland, is geologically active and earthquakes are not uncommon in the city. In addition, there is volcanic activity nearby as well as hot springs. The city is also powered by hydro and geothermal energy. 10) Although Reykjavik is located near the Arctic Circle it has a much milder climate than other cities at the same latitude due to its coastal location and the nearby presence of the Gulf Stream. Summers in Reykjavik are cool while winters are cold. The average January low temperature is 26.6˚F (-3˚C) while the average July high temperature is 56˚F (13˚C) and it receives about 31.5 inches (798 mm) of precipitation per year. Because of its coastal location, Reykjavik is also usually very windy year round.